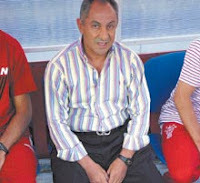 Ossie Ardiles has resigned as coach of Huracan just three months after taking charge, citing disagreements with chairman Carlos Babington as the reason for his swift departure. "For that reason, I resign." "It is lamentable, but it is his decision." Ardiles will now return to his residence in England, whilst Huracan will begin their search for a new coach. Early contenders for the position are thought to be Daniel Passarella, Pedro Monzon and Carlos Ischia.